Curated by Carly: Lilly Pulitzer pillow giveaway! Spring is in near sight, which means dark and dreary decor needs to be updated with colorful florals and other cheerful patterns! What better way to update your living space than with a Lilly Pulitzer pillow from My Pink and Green Garden? Only one lucky winner will win their choice of pillow from this Lilly-tastic Esty store, but all my readers will receive 15% off their next order with the code CHICAGOPREPSTER at checkout! My Pink and Green Garden also has a collection of memo boards, lamp shades, and table lamps! All these products can be made with dozens of different Lilly fabrics. Be sure to browse all the items this fabulous Etsy store has to offer! As always, enter through the Rafflecopter widget below before the giveaway ends at midnight Saturday, March 9! Good luck, Lilly lovers! 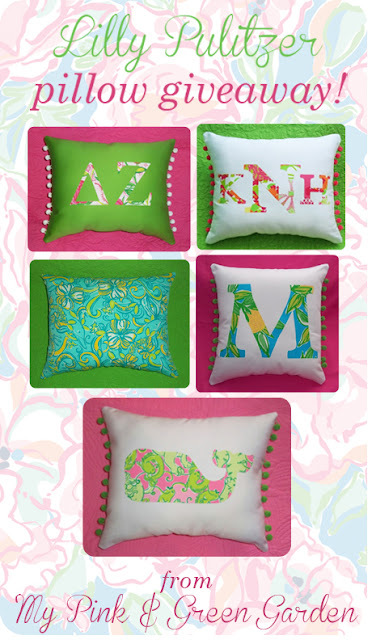 I would definitely get the monogram pillow with the first impressions Lilly Pulitzer print! SO presh! Totally want a monogrammed one... so hard to choose which fabric though! 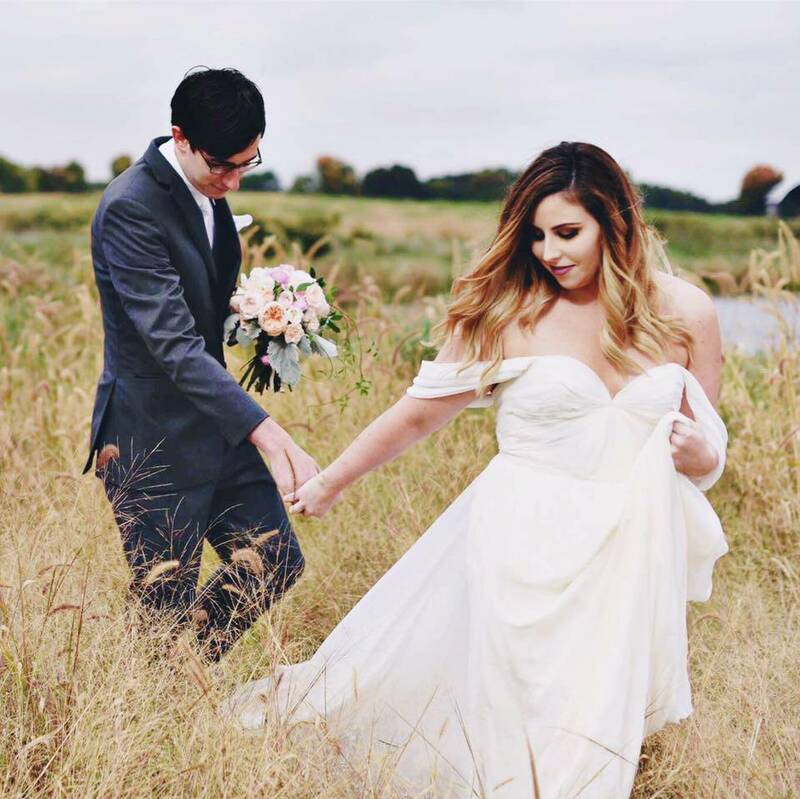 They're all so adorable! I would love the friend catfish print with DG letters! I would love the Alligator Pillow made with Lilly Pulitzer Monkey Trouble fabric, so adorable! I would choose a monogrammed one and not sure on which fabric yet! I would probably choose the monogrammed pillow! i LOVE the anchor pillow!!! this is definitely my favorite print pillow! it's bold and i love navy. however, there are a few others that are close! The New MONOGRAM pillow made with Lilly Pulitzer is definitely the pillow I want! Monogram pillow with between the lines fabric! Obsessed with the Monogram pillow! Even if I don't get this I'm definitely buying one! Love this shop! I'm hosting a giveaway from this Etsy shop as well so don't forget to enter so you can double your chances everyone!! as much as i love u gotta regatta, i'd have to go with my monogram in lilly fabric on green twill. but that's a tough one!! I would chose a horse silhouette pillow for my recently horse obsessed Minnie. I'd let her choose the print. Definitely the "New Pillow MW Lilly Pulitzer You Gotta Regatta fabric" to match my You Gotta Regatta lightswitch plates and overall theme of the room. Monogram pillow but it's so hard to pick a print they're all so pretty! An anchor, perfect for my chair at work!